Rung in memory of Pam Gadd, Churchwarden at Ss Peter & Paul, who passed away on Sunday 14th January. 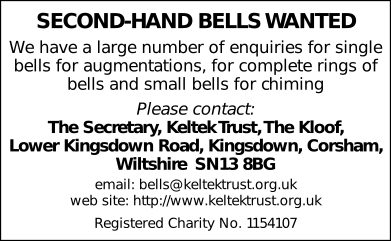 A much loved member of the church and supporter of the bellringers. First submitted Monday, 5 February 2018 at 08:58:07 by Jane Wroe.